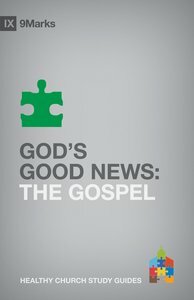 Part of the 9Marks Healthy Church Study Guide series, this study reviews the Bible’s teaching on the good news of Jesus and how the gospel applies to every aspect of church life. About "God's Good News (9marks Series)"
Part of the 9Marks Healthy Church Study Guide series, this study examines key biblical images of the church to help participants discover what the church should look like and how it should operate. Provides an accessible framework for understanding church discipline, offering nine case studies and several practical considerations for leading a church through disciplinary situations with grace and truth.